Description: He comes from Italy, but lives in China. 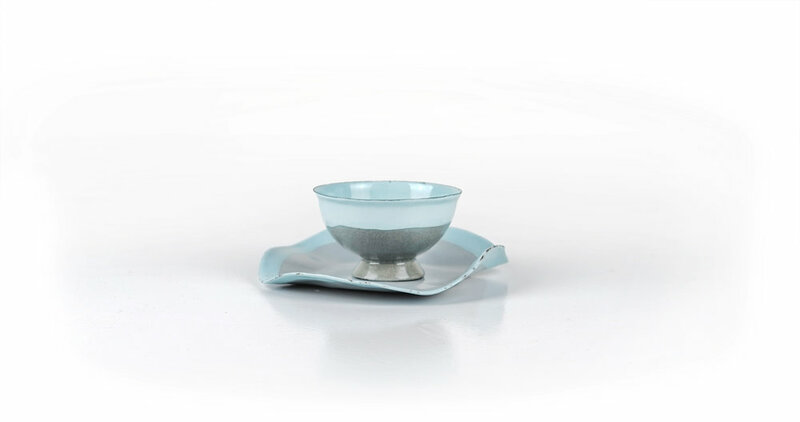 He is interested in Chinese table decoration, has become used to eating white rice, and loves drinking Chinese tea. She is Chinese, but has lived in Italy for years. She is attracted to Italian table decoration, loves to eat pasta and drinks espressos daily. This table decoration set is made primarily of enamel coating on an iron base. It was inspired by Chinese and Western dining habits and is designed for a fusion-style kitchen. It satisfies the needs of people like us, who live without borders.